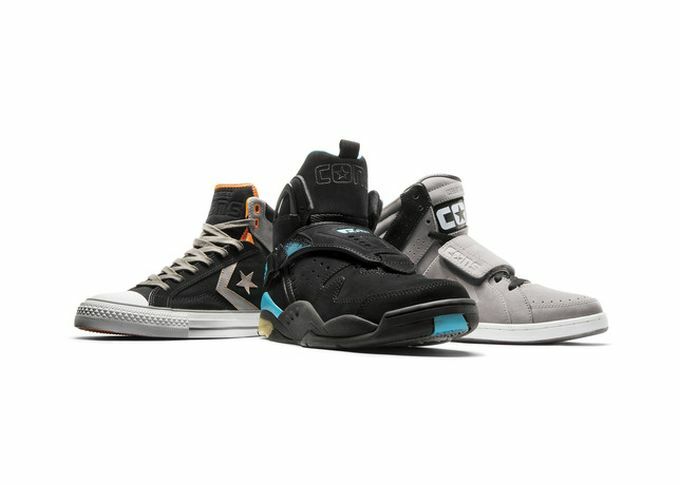 Today, Converse Inc. announces the launch of the remastered Converse CONS lifestyle sneaker collection featuring the Aerojam, Anarchy and Star Player Plus sneakers sold exclusively at select Foot Locker, Footaction, and Champs stores. 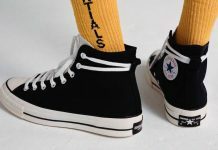 Converse CONS takes this sneaker collection to a new level by speaking directly to consumers who confront the norm and foster a society filled with creative ambition and sport inspirations. The sneaker collection takes cues from 1990s and is remixed for a fresh take on a throwback where style intersects with music, fashion and art. 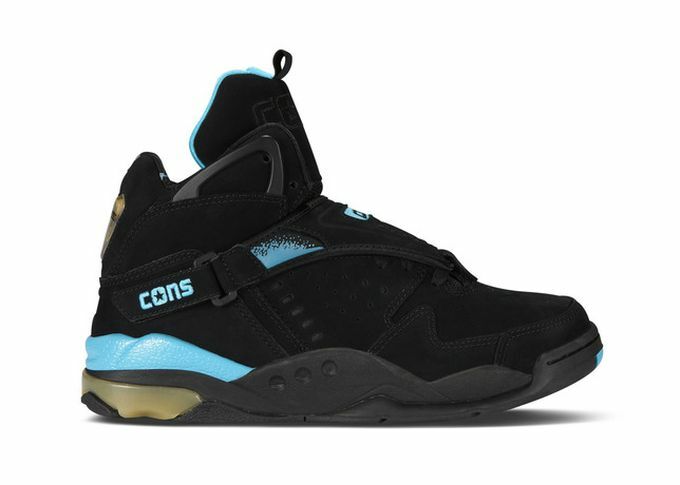 The Converse CONS Aerojam’s new design is stitch-for-stitch the same silhouette as the beloved original from the Converse archives. 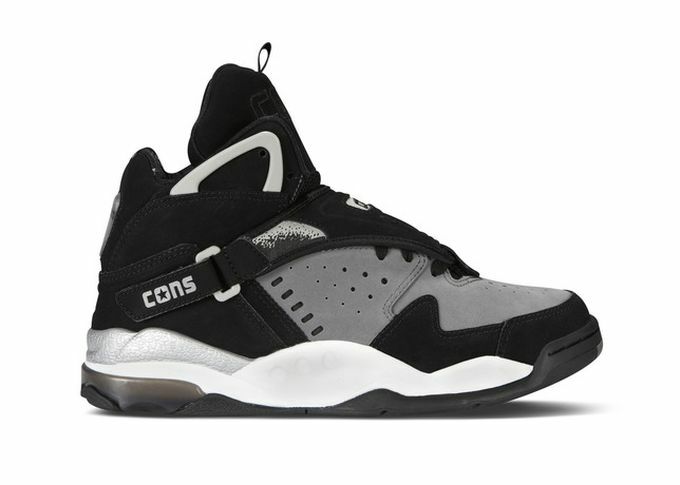 In the midst of a 90s street culture resurgence, the look of this sneaker feels fresh with a lighter and more comfortable modern fabrication, an oversize tongue, grip gradient detailing, and a lace shroud that’s removable and reversible. 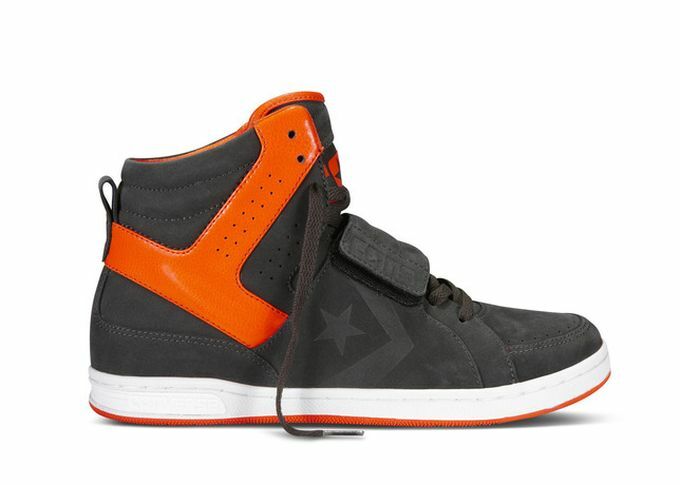 The Converse Aerojam is available in the original black /teal, and in new grey/black and grey/orange colors. 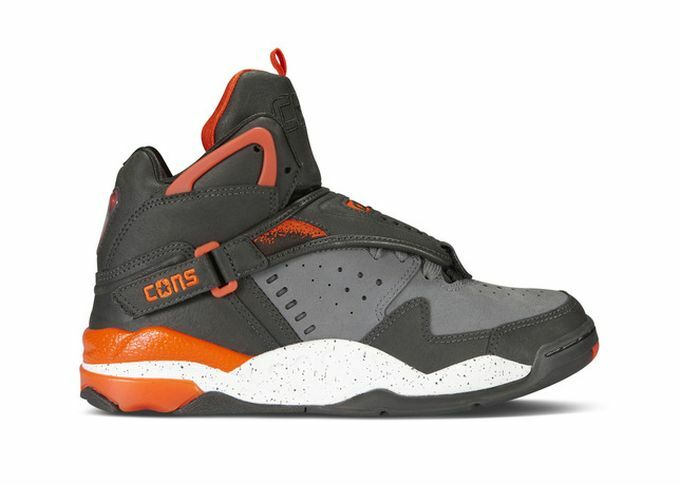 The Converse CONS Anarchy, a brand new style, echoes influences from 90s sneaker culture in a form that’s focused on a clean execution and individual style. The sneaker’s pronounced strap can be worn tucked into jeans or hanging free on the side. 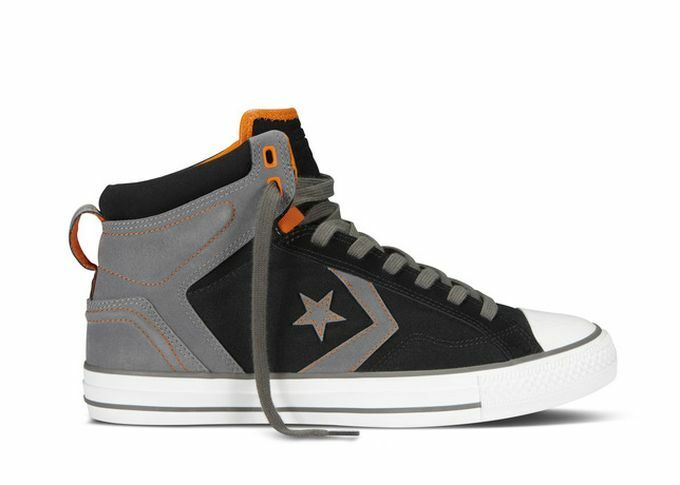 Unique details include the Star Chevron logo, a translucent bottom and ribbed detailing on the padded collar that draws the eyes down. The Converse CONS Anarchy is available in red, black and grey with pops of bright color accents. The Converse CONS Star Player Plus brings back an iconic style with a new twist that embraces a sport influence throughout the design. 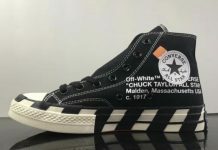 The new sneaker features a combination of canvas and nubuck materials, molded collar details, and pops of bright stitching accents. 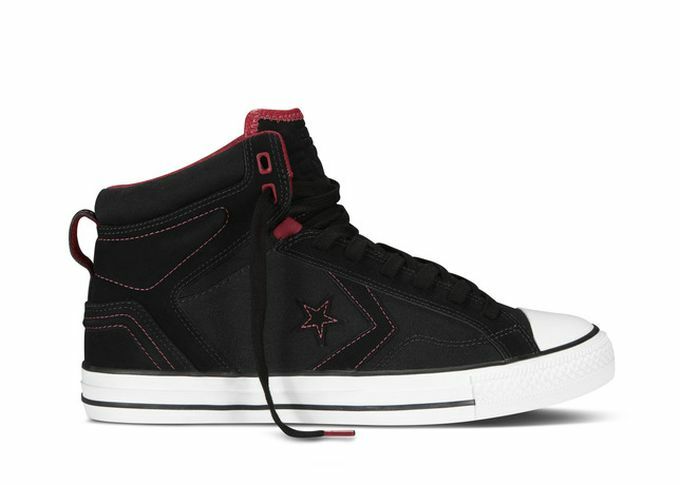 The Converse CONS Star Player Plus is available in black/charcoal/exuberance and black/varsity red colors. 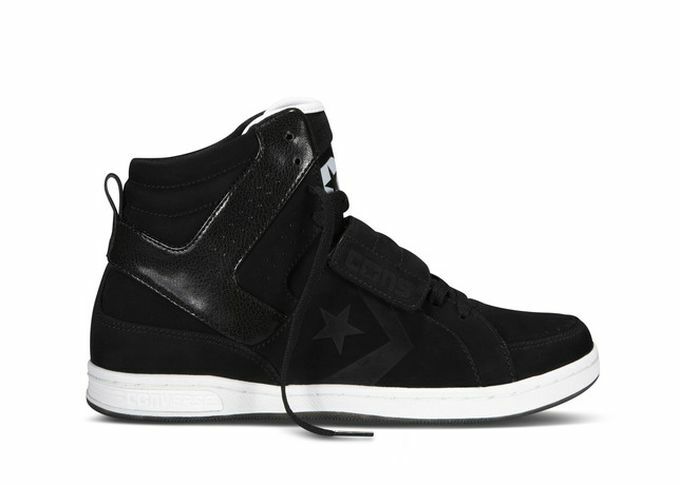 The Holiday 2013 Converse CONS collection will be available for purchase exclusively at select Foot Locker, Footaction, and Champs stores in North America and online at footlocker.com, footaction.com, and champsstores.com starting November 14. 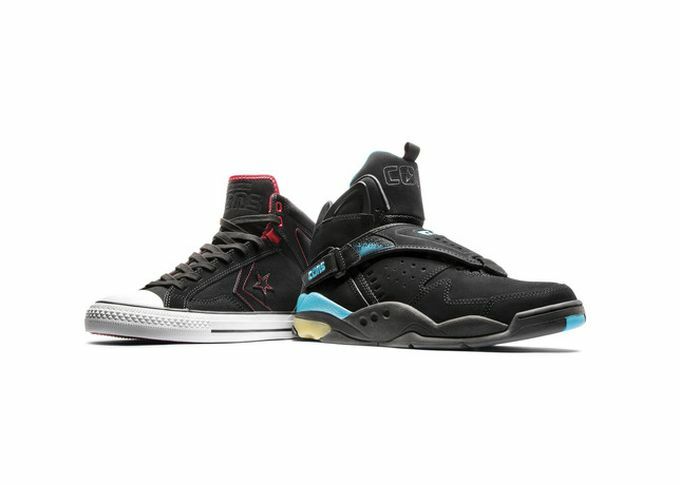 The Aerojam will be available for a suggested retail of $110USD, the Anarchy for $80USD and the Star Player Plus for $70USD.